Aegean has big plans for 2018, they will introduce 18 new routes, 11 new destinations offer over 700,000 more seats than this year. In a press conference, the sunny airline announced their ambitious plans for next year, the 11 new destinations from the Athens base are Turin, Palermo, Bologna and Lamezia Terme in Italy, Malaga in Spain, Basel in Switzerland, Zagreb and Zadar in Croatia, Vilnius in Lithuania, Cluj-Napoca in Romania and Skopje. 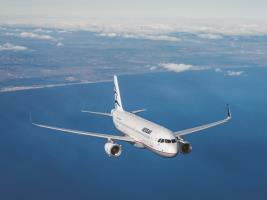 The airline will also bring in 7 new routes from Greece’s regional airports Corfu - Moscow, Santorini - Tel Aviv, Mykonos - Tel Aviv, Mykonos - Beirut, Rhodes - Lyon, Rhodes - Beirut, Heraklion – Beirut. The airline will, they say, continue to strengthen his Athens hub, which brings benefits both for the city itself, as well as for other regions and islands of the country. 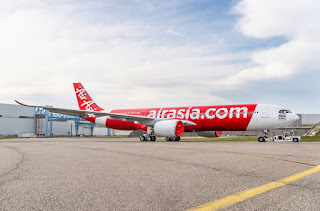 The carrier will connect the Greek capital with 81 international destinations and the airline is also upgrading passenger lounges in Thessaloniki and Larnaca, they will also revamp a second airside lounge for passengers from outside the Schengen zone at Athens airport. 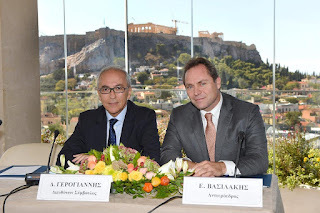 Another key area of development for Aegean will be working in tandem with Athens Athens Tourism Partnership and the Greek National Tourism Organization to enhance and expand attracting tourists to the country. Part of this will include free transportation for a large number of press and familiarisation trips to the county. At the same time, Aegean continues to focus on supporting and developing the Greek regions, through the implementation of the “Closer to Greece” project, which concerns the support of local communities and products. In this context, the company, in cooperation with regional producers, provides an important platform for the promotion of their regional image and products (through monthly features on Greek destinations, a collaboration with 50 local producers, the promotion—in just 1 year—of more than 60 different types of products and local flavors on Aegean flights, the screening of more than 100 promotional videos for the Greek countryside in Greece and abroad).